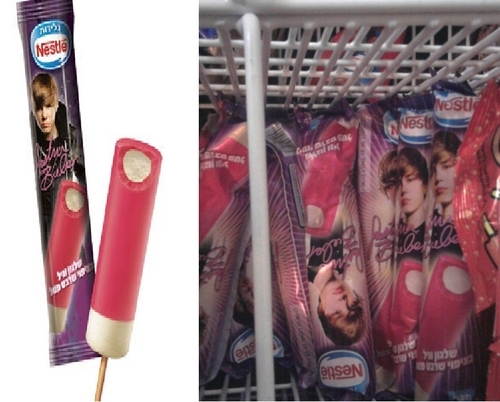 Justin Bieber Popsicle. We have it here in israel ... it is very tasty :). HD Wallpaper and background images in the 贾斯汀·比伯 club tagged: bieber 2011 justin bieber justin bieber <3 justin <3 bieber fever. i want some here in the USA and i want some now!!!!!!!!! i want some here in the usa also!!!! I bet it would b yummi just like justin!! omfb i want it like it is awesome are they still out and are they coming to the usa ???? ?